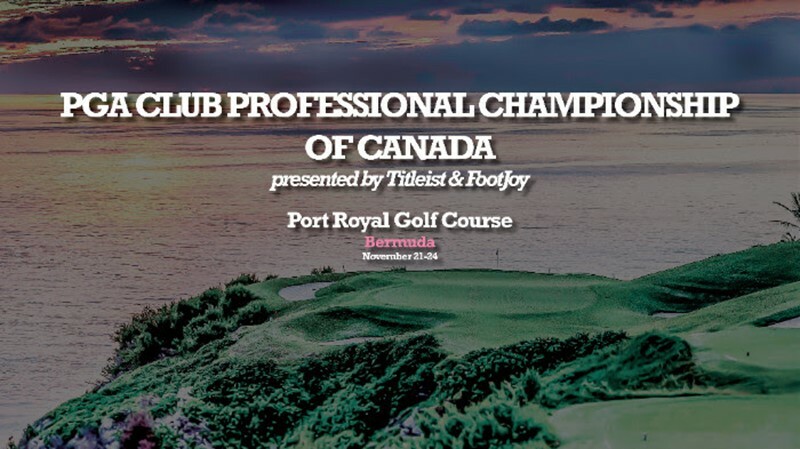 Brian Hadley is leading the PGA Club Professional Championship of Canada presented by Titleist & FootJoy after a blustery first round at the Port Royal Golf Club. Hadley, the head golf professional at Thames Valley Golf Club in London, Ontario, posted a remarkable 1-over-par 72 in the windy conditions. “Other than the double I made on the seventh hole, I played pretty solidly out there today,” Hadley said about this first round that featured three birdies, two bogeys and a double-bogey. Scott Allred of Elbow Springs Golf Club in Alberta and the Outback Golf Academy & Golf Show’s Craig Hocknull sit two-shots back of Hadley in a share of second place after matching 74’s on Tuesday. Last year’s champion Danny King of The Performance Academy at Magna, Victoria Golf Club’s Lindsay Bernakevitch and 2004 winner Ian Doig are T4 at 3-over-par. While he’s never won on the national stage before, Hadley is no stranger to playing well in big events. Earlier this season he won the PGA of Ontario Championship for the third time since 2012. He also played in the 2013 RBC Canadian Open on the PGA Tour [after winning the Ontario qualifier] and shot a 59 [13-under-par] in the first round of the 2013 PGA of Ontario Championship. But even with a history of playing well when it counts, the 35-year-old says he’s not about to get ahead of himself this week at Port Royal. In addition to the 54-holes of championship golf, PGA of Canada members have been treated to a number of off-course events as well, such as a players’ reception Sunday event at the Fairmont and a skins game shootout on the world renowned par-3 golf club at Turtle Hill on Monday after the practice round. The Inter-Zone Team Championship, which is comprised of four players per zone [and three scores per team counting], is also handed out after 36-holes. Team Ontario leads by eight shots over Alberta, with British Columbia 10 back.